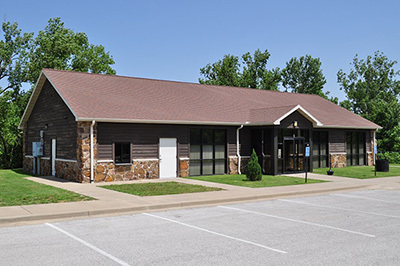 The Webb City Parks & Recreation Department offers several types of indoor and outdoor facilities located throughout the park system for meetings, parties, weddings and other types of friend and family events. Some of these facilities are available at no charge while others require a contract or reservation fee. The Mining Days Event Center is the parks newest indoor park facility. 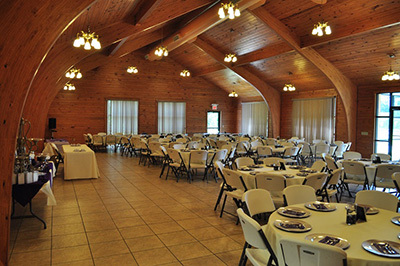 The 1200 square foot building offers seating for up to 160 people and is available for parties, weddings, and meetings. The facility comes equipped with a full service kitchen, tables and chairs, and guest parking for 100 vehicles. If you are interested in renting the Mining Days Event Center and/or Amphitheater, please contact City Hall at 417-673-4651 for an application. 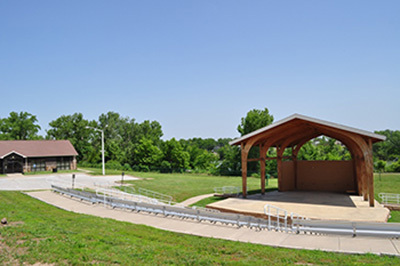 Available for rent together with the Mining Days Event Center, or by itself, the King Jack Park Outdoor Amphitheater is a great facility for weddings, concerts, and special events. The Amphitheater will seats up to 250 people with additional seating on the grassy knoll. 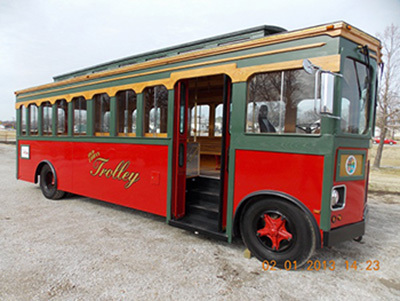 As an added treat, Webb City's Parks & Recreation Department also has available for rent a restored street trolley for party or wedding chauffeur services. The trolley comfortably seat up to 30 riders. Several outdoor park pavilions are also available for use by the general public. Currently, only King Jack Park and Hatten Park have pavilions for public use, but plans are in place for several new pavilions to be built within the next year. For more information on renting the Mining Days Event Center and/or the Outdoor Amphitheater, reserving a park pavilion, or hiring the services of the Webb City street trolley, please call City Hall at 417-673-4651. All facilities are available for inspection by appointment.